It's genre book time at GeekFest Rants. Today, join Carlos and Steve as they review some nerdy books on all things genre related. We start with Star Trek Shipyards - Starfleet Ships 2063-2293, then Dungeons & Dragons - Art & Arcana, then Stan Lee's Amazing Fantastic Incredible, and finally The Art of Ghost in the Shell. Four very different books hitting some of the geeky subjects we love. Today on GeekFest Rants join Carlos and special guest author, Andrew E.C. Gaska, as they look at the history of toxic fandom with events like Gamergate and Comicsgate. Then Carlos returns to cover the Rebel Force Radio controversy with the conclusion of these 3 part investigative reports. The great, late Stan Lee said it best "The world may change and evolve, but the one thing that will never change is the way that we tell our stories of heroism. Stories have room for everyone, regardless of their race, gender, religion, or color of their skin. The only things we don't have room for are hatred, intolerance, and bigotry. That man next to you, he's your brother. That woman over there, she's your sister...Excelsior!" Two titans of the comic book world have become titans of the cinema world. But how are they faring against each other. 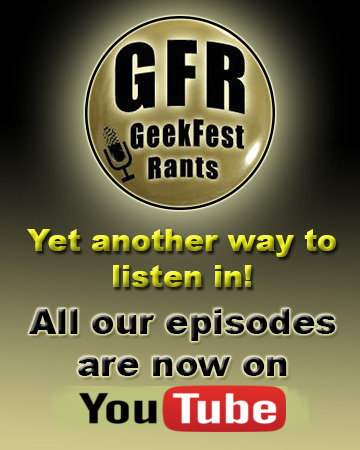 Today on GeekFest Rants, Carlos is joined by new guest co-host Steve Fowlkes. They cover the four major eras of superhero films, 70s-80s Superman era, 80's-90s Batman era, 90's-00's Spider-Man, Batman, X-Men era, and our current Marvel/DC incarnations. Now that these two multi million dollar franchises are going head to head, how is one doing so much better than the other. What are the hits and what are the not so hits; plus which are the ones that bomb so bad that they would both rather forget about. It's time for the New York Comic Con 2018 round up. Today on GeekFest Rants, Carlos highlights some of the news, trailers, and toys featured at NYCC. We'll also include some breaking news around the time of NYCC. Things like Aquaman, Star Wars Resistance, What We do in the Shadows, Star Trek Discovery, The Mandalorian, etc. Plus we will also profile a classic Kenner Star Wars toy, the Imperial Troop Transport and compare it to it's newer modern counterpart from Hasbro's Star Wars Rebels line. Today on GeekFest Rants we go from comic book heroes to sci-fi thriller. Join Carlos as he reviews the current billion dollar Marvel hit, Black Panther and the mind bending Annihilation. Two different films but perfect for our genre loving interests. With Black Panther we get a new character that promises to become a leader in future Marvel films. Plus with Annihilation we get another though provoking film from the maker of Ex Machina. Today on GeekFest Rants Carlos takes a look at some of the best Soundtrack/Scores done by Rock groups/artists. 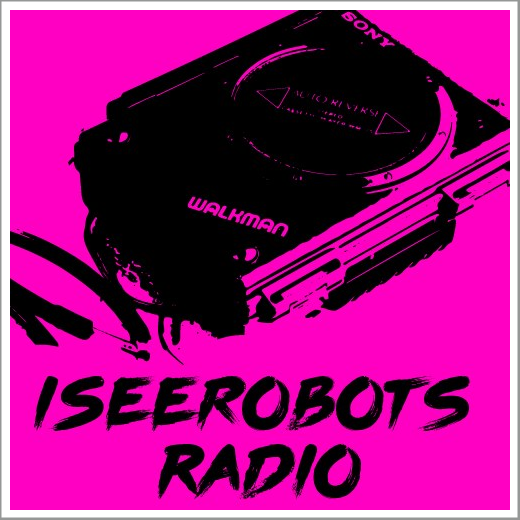 We'll examine artists such as AC/DC, Daft Punk, and Queen. How sometimes a great soundtrack can't save a movie. Or how a soundtrack enhances a film beyond all expectations. Then we are going to talk about Misfit Kenner Star Wars characters. These are toys that are not officially part of the action figure line 92-Backs but that deserve as much attention as a carded figure. These include characters such as Jabba, the Tauntaun, the Probot, etc. Just when you thought we were done with Kenner Star Wars, it pulls us back in. Has critical and box office salvation finally arrived for a DC film? It certainly has. Join us at GeekFest Rants as Carlos, Kyle and Kim review the newest DC superhero film, Wonder Woman. What's the secret of it's success? The lead actress? the director? the story? Probably all of the above. About time DC gets a hit on their hands. 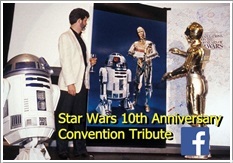 Then Carlos takes a nostalgic look back the Laserdisc format especially with Star Wars films. What were these CD looking, record size, movie discs all about? And how did the Star Wars franchise contribute to it's special important technological life span?